Vanessa Andreotti is the Canada Research Chair in Race, Inequalities and Global Change at University of British Columbia and Associate Professor in the Faculty of Education. In this episode, I speak with Vanessa Andreotti, an associate professor at the University of British Colombia and the Canada Research Chair in Race, Inequalities and Global Change to discuss how the paradigm our society views the world from might be one of the biggest impediments to creating real social change. 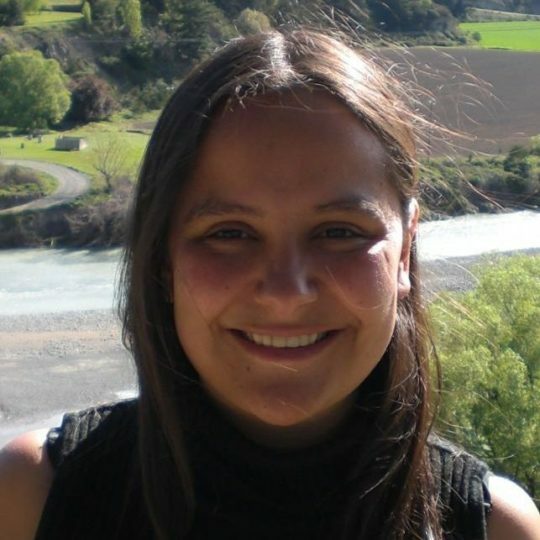 Vanessa is a researcher and a teacher within UBC’s Faculty of Education on Canada’s West Coast where she is focused on examining historical and systemic patterns of reproduction of inequalities and how these limit or enable possibilities for global change. Andreotti: So, mostly when we hear about change is when they feel that the promises of security that have been made by society have been broken and they want to reinstate those securities through other forms of living or other techniques or other lifestyles. But what I’m talking about in terms of big change is actually a change in the structure of our being. It’s something that is generally unimaginable and unthinkable from within our current paradigm. Deep change is something that is extremely uncomfortable, probably because it requires us to find other securities, other ways of being, other ways of feeling safe, other ways of feeling interwoven with the world and with each other. And that requires a lot of disinvestment in the current securities we have today. If our current paradigm is our greatest restrictor of change, I’m wondering, why is it our greatest restrictor? Andreotti: If you’re trying to change the world through the same paradigm that created the world in the first place, it’s very likely that we’re going to be reproducing the same world. One way of thinking about the edges of our current paradigm is to understand that it comes from a very strong desire and belief that knowledge can explain everything, can fix everything, can tell us who we are, and can mediate all our relationships. So, there is this obsession with knowledge and a lot of unrealistic expectations placed upon it. But this paradigm also centres human beings. So, it’s a paradigm that is based on a certain form of arrogance that makes it very difficult for us to get to the edge, to sit at the limits of this paradigm, with all the discomfort that that entails. If we are attached to an understanding of the world that wants to put the world in a box, and ourselves in the box within the world, and we can’t see beyond that, then these possibilities are in the realm of what is inaccessible, when, in effect, they are accessible — we’re living them. It’s just that they cannot be put in a box and, therefore, they’re not registered as meaningful experiences. But what if, instead of a box, we had something much more flexible and more porous to engage with the world, to mediate our relationship with the world, so that we could sense and see the possibilities that right now we can’t? So, starting from a place of not knowing and engaging with the world as if we are not individuals, as we inhibit each other in multiple temporalities, and taking responsibility for this form of engagement, I think, for me, is what humility entails. if you understand that there’s no end, and that the process itself, the path itself, is what you’re looking for — and with all its problems, and paradoxes and contradictions — it’s joy that comes out of walking together, and breathing together and learning together, then, I think, we are in a very different footing to be able to tackle the crisis that we have to tackle together. Vanessa appreciates that a complete change in one’s worldview is no easy task. It’s completely rattling to let go of how we’ve known life to work, and Vanessa says that achieving this paradigm shift requires a lot of humility. Andreotti: When I talk about humility, it is about sitting at the edge, understanding the limits of knowing, not only of our own knowledge, the limits of knowing itself, the limits of making sense of the world — understanding that it’s possible to reason with other senses. Although we see ourselves as individuated or as individuals, we are interwoven with everything else. If we are going to engage with the world in change-making, it would be important to both understand the contradictions and paradoxes of our own ways of knowing, but also to sit at the edge of the way of being that engendered this way of knowing so that we can engage with the world without trying to project our delusions onto the world itself, without trying to over-determine both the direction and how the relationship should happen. So, starting from a place of not knowing and engaging with the world as if we are not individuals, as we inhibit each other in multiple temporalities, and taking responsibility for this form of engagement, I think, for me, is what humility entails. If we are able to be humble and accept that we exist as a part of a much larger society and ecosystem, how do we then go about creating systems change? Andreotti: A system rises, peaks, and starts its decline. And, generally, when a system is in decline, a lot of people want to walk out from that system. This is the work of Debra Friesen. But one important thing to remember when we are walking out is that we can’t create a different system from the hot ashes of the system that hasn’t yet cooled down. In many alternative movements, people want results straight away. They want to substitute the system that they had before for something that they already know that they can control. This is just again a replacement of the securities that were promised by the system, the other system, and now these promises are perceived as broken. But what if we understand the promises of the systems as unrealistic from the outset and start to look for other securities? In that sense, what we need is not to replace it straight away, because we can’t, basically. We will end up reproducing the old system whether we like it or not. But what if what we need to do is experimentation? If we want to experiment, we need to start from a place of not knowing, because otherwise it’s not an experiment, it’s you trying to engineer something. But if it is an experiment, you are kind of doing it, you are designing something that you know is going to fail, and the learning from this failure is the most important thing. How do you go about making sure that you fail in the right way? Andreotti: The same way that a new system cannot be built on the hot ashes of the old, the role of improvisation here is that the difficulties that we face — this sitting at the limits of what is perceived as possible of what we know, the learning that can take place in that space, through failure — becomes a fertilizer for something else that happens when these ashes cool down, the ashes of the old system. What I think is important here is not to see failure as failure. Failure is also success. It’s success in terms of the learning that it generates — for the possibility that it opens, in terms of the new world that it can create. As a researcher, for example, in an experiment, if I keep doing the same experiment, with the same results, it becomes not only a waste of energy, but, because I’m not deriving any learning out of it, also boring! There is a sense of it in this experimentation and improvisation, that in order for it to be fulfilling, and rewarding, and exciting, and fun even, it needs to be learning. And it needs to be learning from failure. And it needs to make mistakes too! It’s part of the process. But if you understand that there’s no end, and that the process itself, the path itself, is what you’re looking for — and with all its problems, and paradoxes and contradictions — it’s joy that comes out of walking together, and breathing together and learning together, then, I think, we are in a very different footing to be able to tackle the crisis that we have to tackle together. So, how can we turn ourselves to this other way of experimenting where we are not afraid, we are actually quite okay with both failing and succeeding and stumbling and falling and getting back up, and not being overwhelmed or exhausted by this process — by our desire to get somewhere, right? I keep saying that if you think this is going to be a process from A to B, the only thing I can tell you is that you’re going to be frustrated. For a long time. But if you understand that there’s no end, and that the process itself, the path itself, is what you’re looking for — and with all its problems, and paradoxes and contradictions — it’s joy that comes out of walking together, and breathing together and learning together, then, I think, we are in a very different footing to be able to tackle the crisis that we have to tackle together. It can be tempting to conceive a system’s change in terms of ourselves, our communities, or even the societies within which we live, but as Vanessa teaches, by thinking about change vis-à-vis those who are coming next, it opens up a different approach. Andreotti: So, if we have this responsibility towards those who are coming next rather than the responsibility towards making us become the heroes of the new system, or the engineers of the new system, we are going to shift the focus of our attention and of our learning from the outcomes to this process of walking and experimenting knowing that it will require falls and stumbles and rest and laughter and being naked, and helping each other in the journey rather than trying to quickly replace the securities that we lost with the same securities disguised as something else. What becomes possible if we change the way we view the world? Andreotti: So, if we can get to a point where we are present to the world, we are disarmed towards the world, and we are decentered, we are with the world, extremely attentive to what we are being called to do with others in order to shift our ontological reality and also operate within this reality with responsibility, then we are onto something else. And I’m not saying that this is going to be necessarily immediately better. I’m saying that this is going to open up other possibilities that are viable — but they are unthinkable or unimaginable at the moment.